This is spun off the River Café Cookbook, with really very little adaptation (more tweaks) so all credit to them. I did reduce the amount of butter, as what was recommended really was a bit criminal. 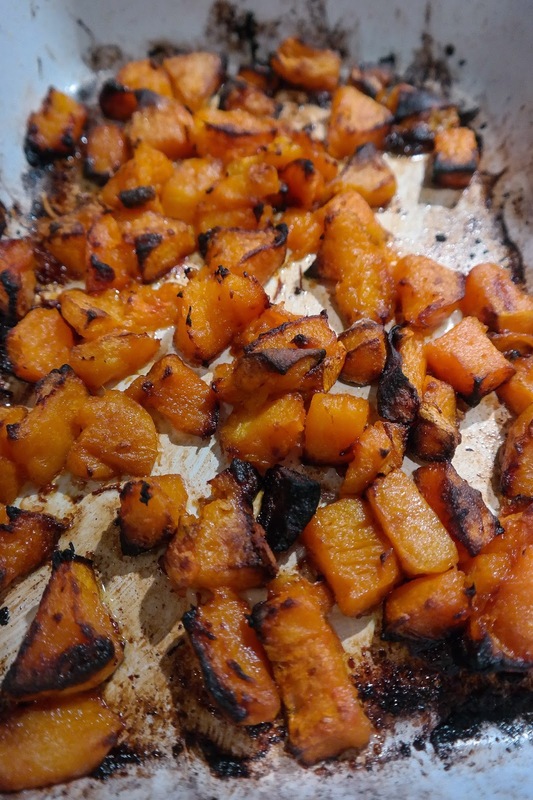 I also decided to char the squash (not pumpkin) because it adds a wonderfully rich, caramelised kick to the dish. Serves 6. It's very rich, so there's no need to dole out huge portions. Pre-heat the oven to 220ºC. First you have to prep the squash / pumpkin. Peel it and cut it into large-ish chunks. 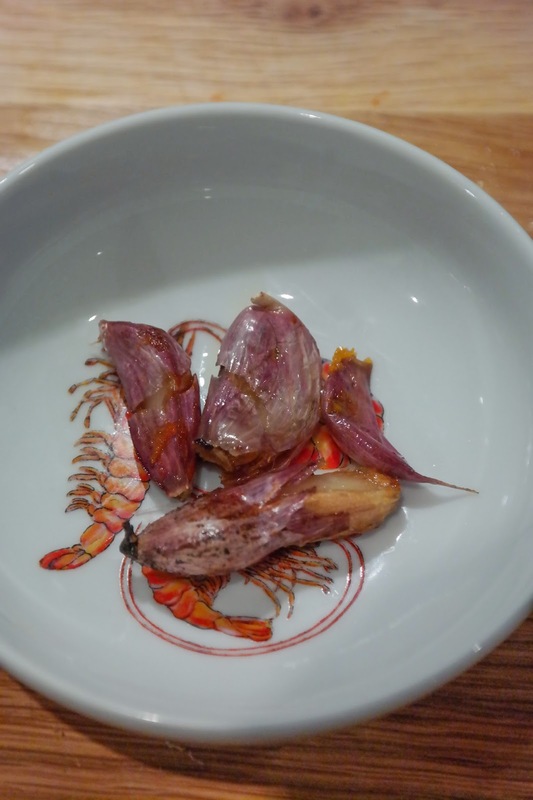 Toss it into a roasting dish and add four cloves of garlic - unpeeled but cracked with the back of a knife. Drizzle over plenty of olive oil and toss together before sticking it in the oven. Remove and toss the squash every so often, keeping an eye on it. After about 30 minutes the garlic will be soft through and should be removed (otherwise they'll go crispy and solid, which is useless). Scrape the soft, roasted garlic out of their skins and add it to the squash when it comes out of the oven. 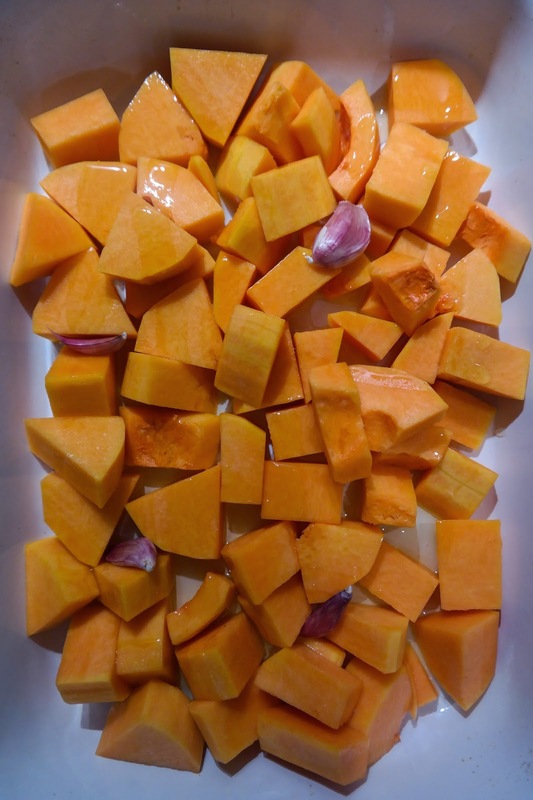 The squash will need the best part of an hour in total and you want to keep cooking it until its properly charring. No, this wasn't an accident – just go for it. 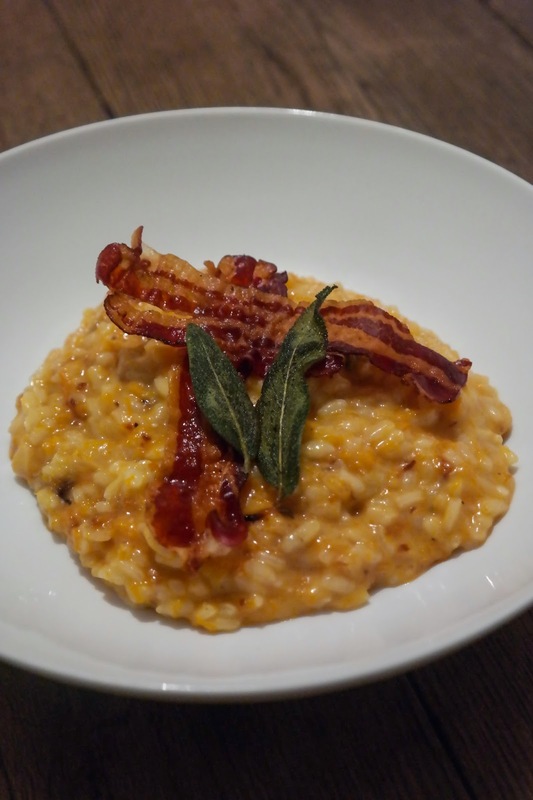 Next up, you need to make a basic risotto. Jamie has a fabulous version in his book Cook. This is a take off of that and is very similar to the River Café version (hardly surprising since Jamie trained there). Pour a couple of tablespoons of olive oil into a big, deep pan (I actually used my trusty Le Creuset, so tired I was of making this in big frying pans and spilling half of it down the side) and add 75g of the butter. When the butter is melted, add the onions and, over a low heat, soften them. As soon as they go in, peel and chop the garlic as finely as you possibly can before adding that as well – you want to do this now (i.e. after the onion has gone in) otherwise it may burn. 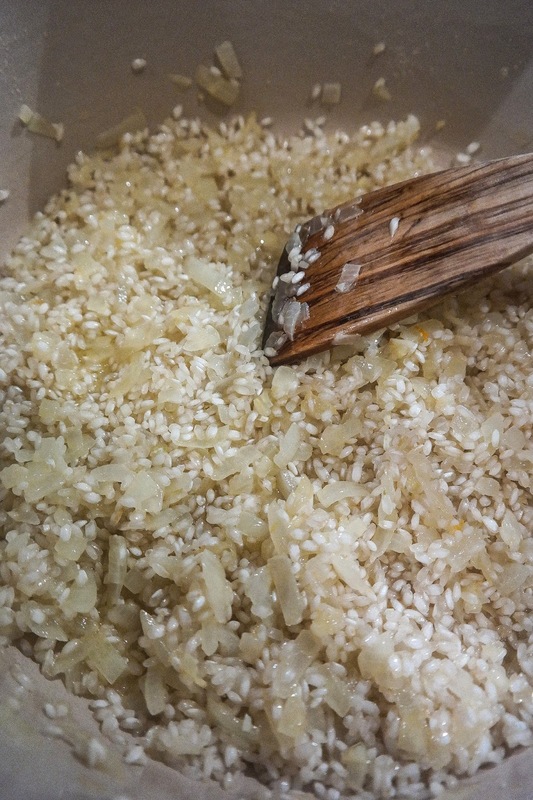 When the onion is properly soft, add the rice and stir so that it is coated in the butter and oil. 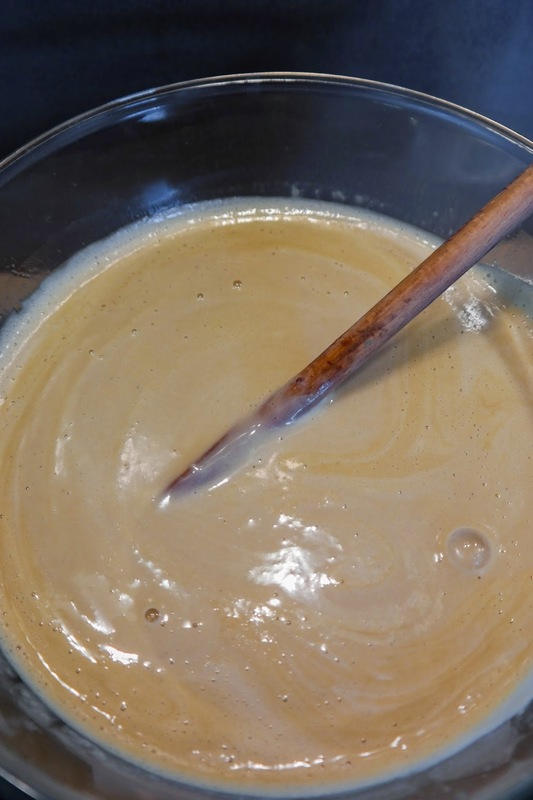 Now add a couple of ladles of hot stock, stirring constantly until it has absorbed most of the liquid. Repeat until the rice is cooked – if you need a bit more wet, use boiling water from the kettle; equally, you may not use all the stock before the rice is cooked, so keep tasting after the first litre or so. 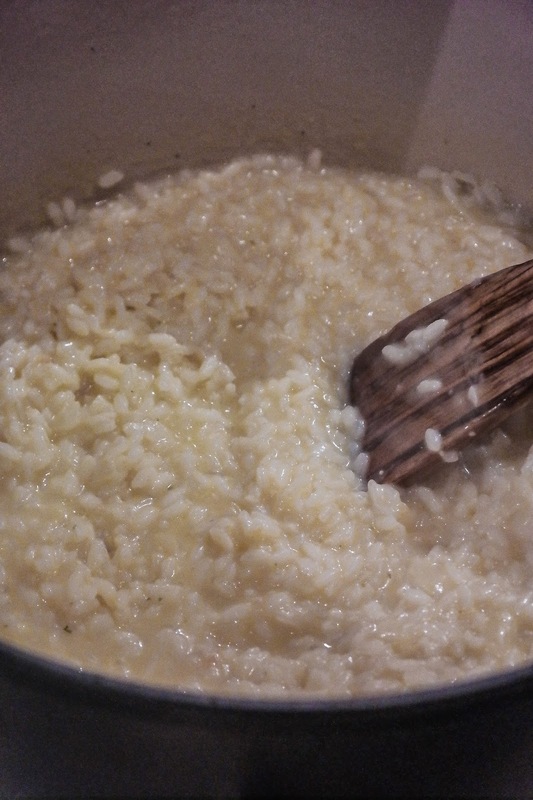 You will be left with a very creamy but plain risotto. 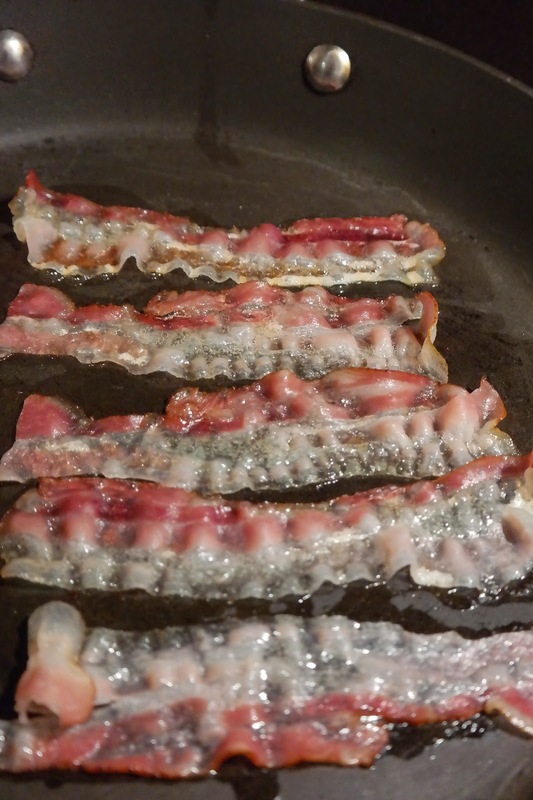 Whilst this is going on, fry the pancetta until crispy in a frying pan in the side. This will only take a couple of minutes, so keep an eye on it. 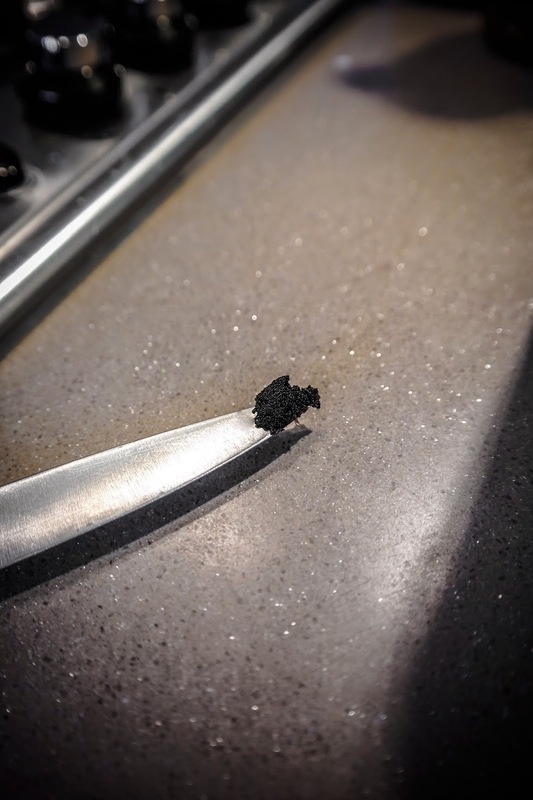 Remove and place on kitchen paper to catch the extraneous grease. 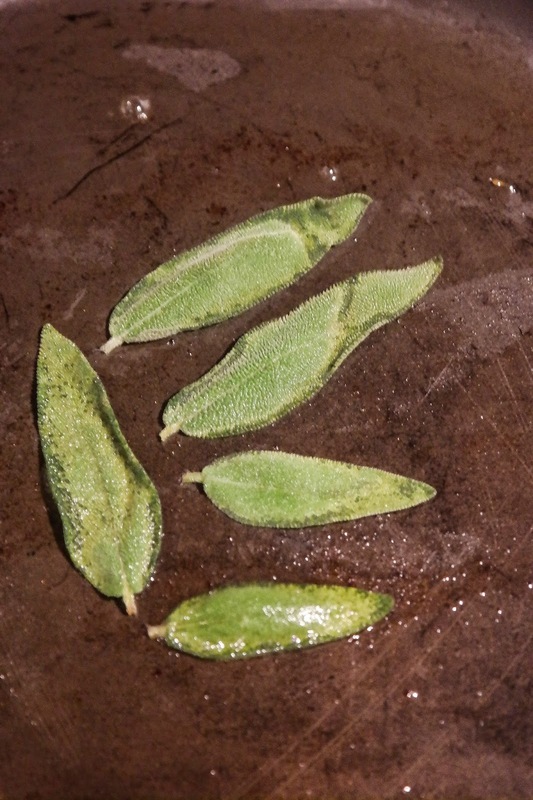 In the rendered pancetta fat, fry the sage leaves. 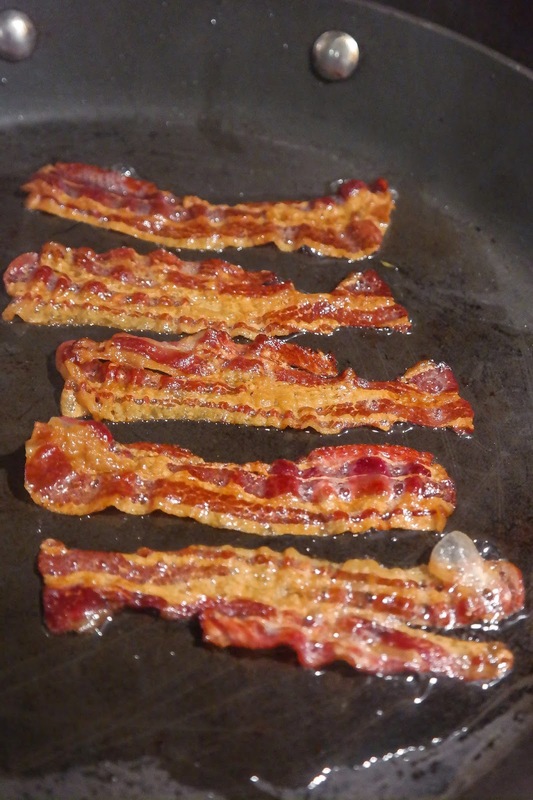 Honestly, I think the pancetta is essential – it really adds something to the dish. I don’t think that the same can be said for the sage leaves. I think they look pretty, but don’t add too much. Both were my additions (although the fried sage idea is from my cousin's wife, Average Baker, who uses it to great effect on other stuff) so I'm claiming a 50% success rate. 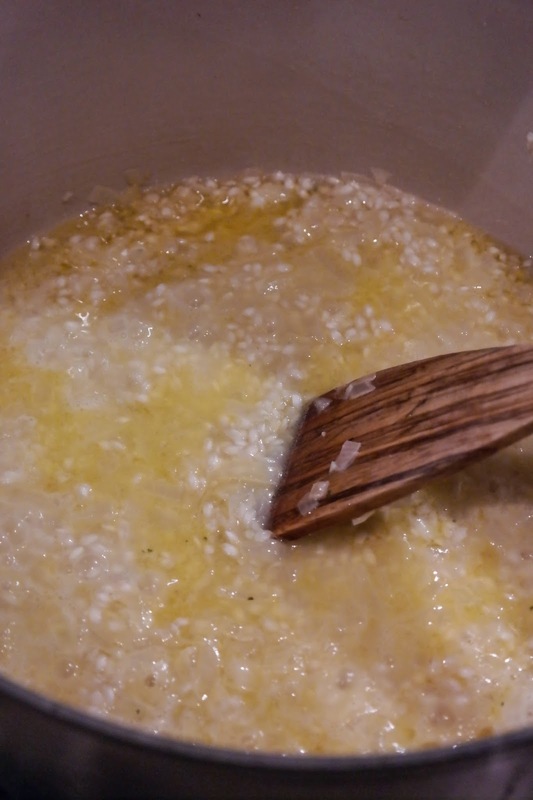 When the risotto is ready, tip all of the squash in and add the parmesan, the remaining butter (cubed) and the vermouth. Stir thoroughly, so that the squash (which will be very soft) is thoroughly combined with the rice. 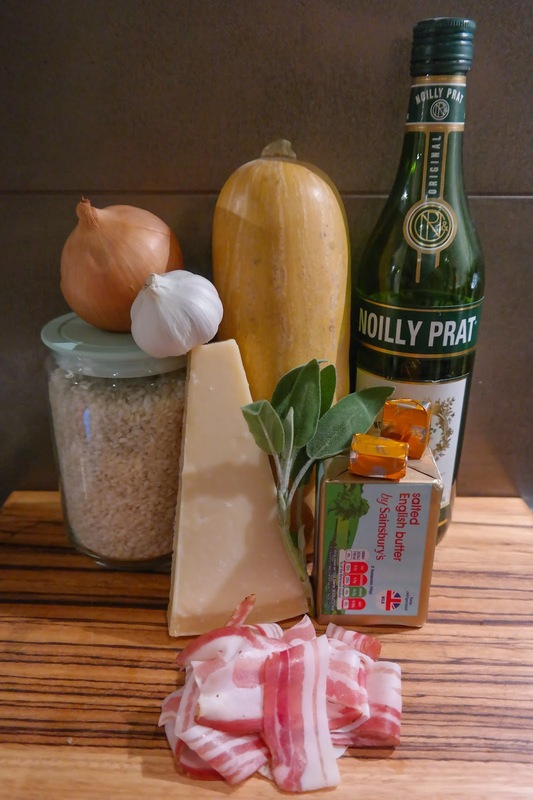 Serve immediately, with the pancetta and sage (if used) on top, together with a scattering of freshly grated parmesan. The Cocktail Trading Co. is not easy to find. Ostensibly, its address at 22 Great Marlborough Street leads to a small residential flat (who knew that actual people actually lived around there?!). 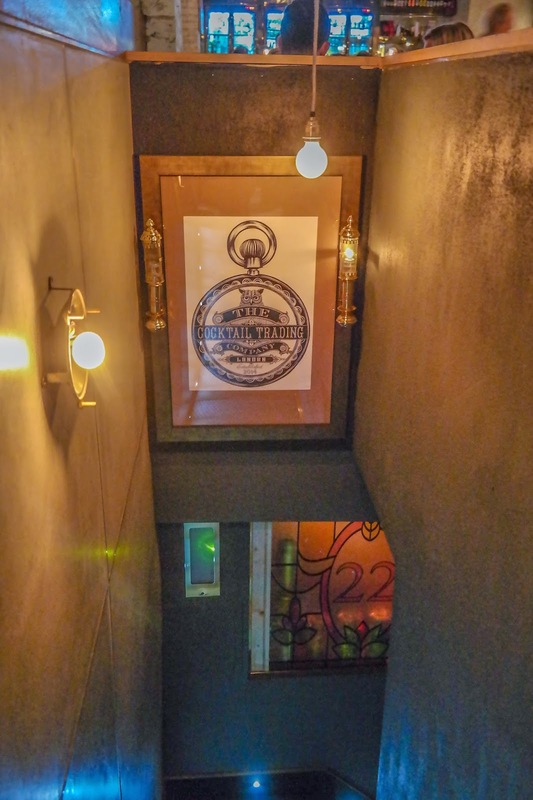 Instead, you have to pop into the bar next door (Central & Co) and head directly downstairs into a tiny wee bar hidden away in the basement. Then there were the drinks, each of which can be ordered from a cute little A7-sized cocktail book (complete with a crossword in the back, just in case your friends are dull). These were sensational. 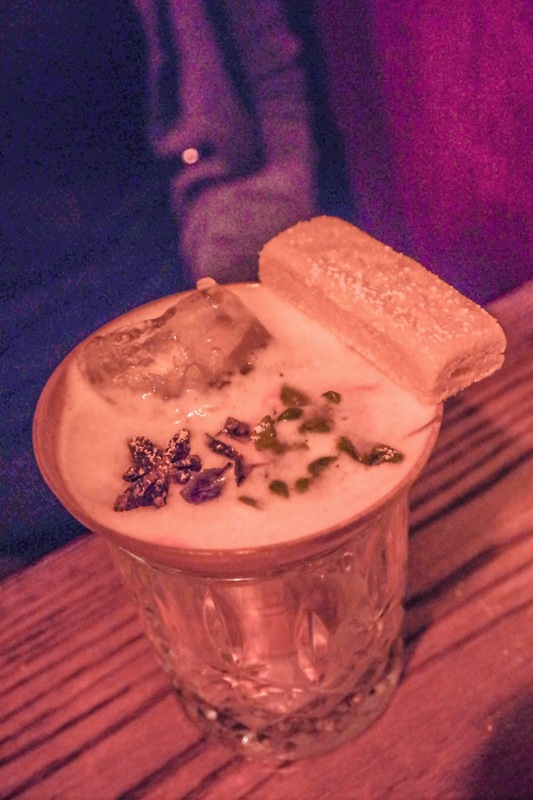 One can choose to go for run-of-the-mill drinks (e.g. bellinis, mojitos, daiquiris). I am afraid eschewed this option in favour of the more exotic, creative concoctions – this is, after all, a "Development Bar". Let's start with the presentation, because this is clearly a big thing for these guys. It's called "Scout's Honour". So it comes in a tin cup. With a tin of spam. And a couple of flame toasted marshmallows (presumably broiled over the camp fire) as a snack. Pretty damn impressive, no doubt. 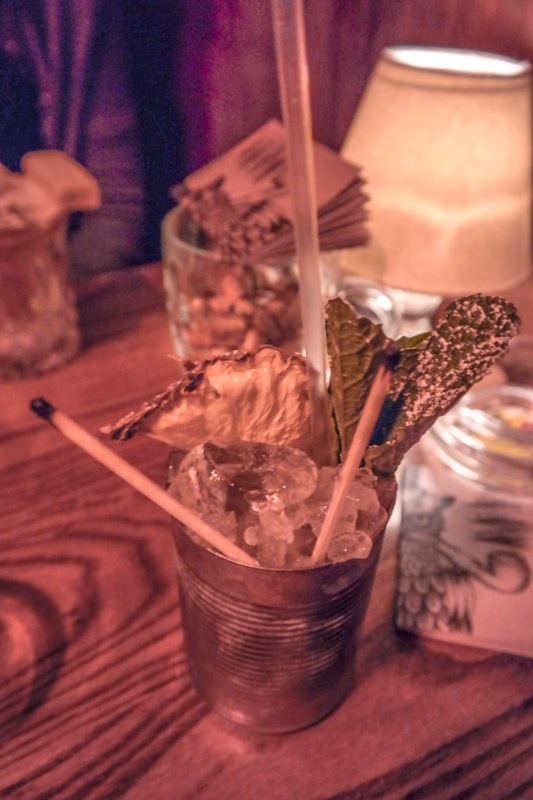 The drink itself was pretty good: boozy and smoky, with all the taste of the toasted marshmallow syrup coming through – a good thing, I assure you. 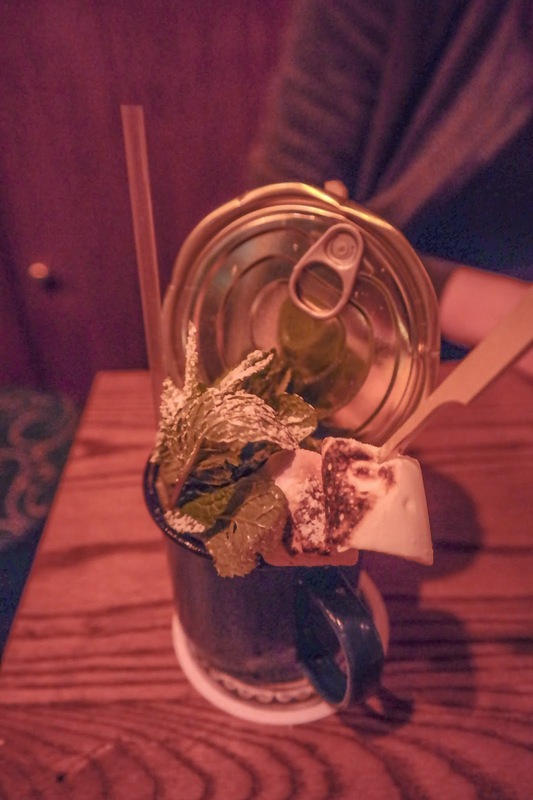 The mint garnish was a bit out of place though, and tended to jar with the more Mexican / margarita flavours of the main attraction. I opted for the 欢迎到肯塔基州 (trans. Welcome to Kentucky, Have A Nice Day (apparently, although Google Translate thinks otherwise... not that I care, to be honest)). Described as "the perfect fusion between east and west", this drop mixes bourbon, 'ginger & plum infusion' (whatever that is), yuzu juice (a tart, citrus fruit somewhere in flavour between s grapefruit and a mandarin) and matcha tea (ground green tea). Again, presentation. Wow. Ten out of ten. 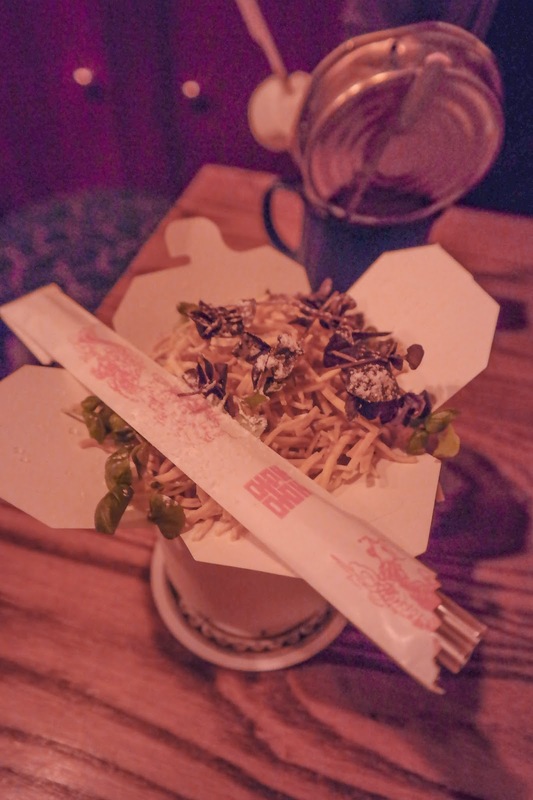 It's served in a noodle box. It's got actual noodles and basil sprouts on top. The straws look like chopsticks. Let's face it, that's got to be the reason it's being named as one of the got-to-drink drinks of the minute, right? Right? WRONG. It's gotten that status by being awesome. It's fantastic, in fact. Sweet, malty rich notes come through from the bourbon (my drink of choice at the moment, so yeah, I'm biased), followed by a long, spicy finish. It's very nicely put together. For seconds, I had the Sauvignon Private Ryan. 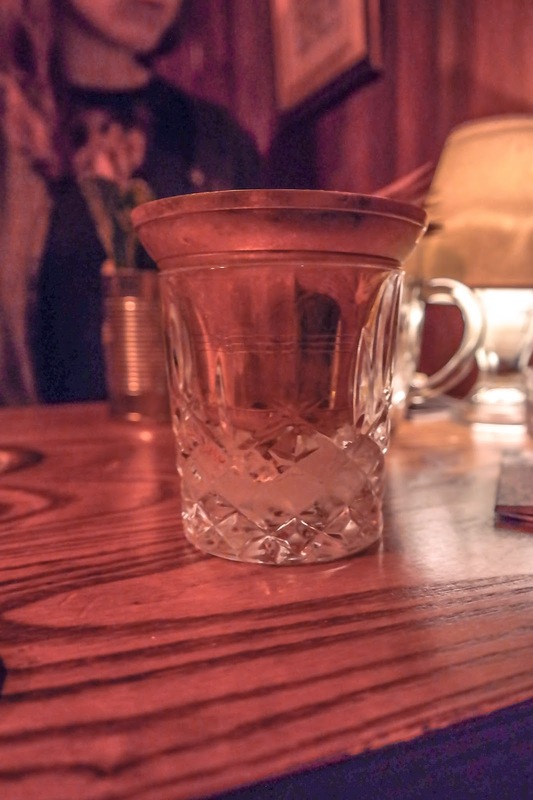 This was a hotch potch of calvados, dry sherry, sauvignon blanc, lemon juice and a cardamom and passionfruit syrup. This was, dare I say it, a touch disappointing. Not because it wasn't good – it bloody well was – but because it didn’t live up to the list of ingredients. I lost the calvados and the sherry entirely, and the passionfruit was almost overbearing. The white wine came through nicely though, like drinking white wine in the sun – leaving GrubsterGirl to say that it "tastes like Argentina". 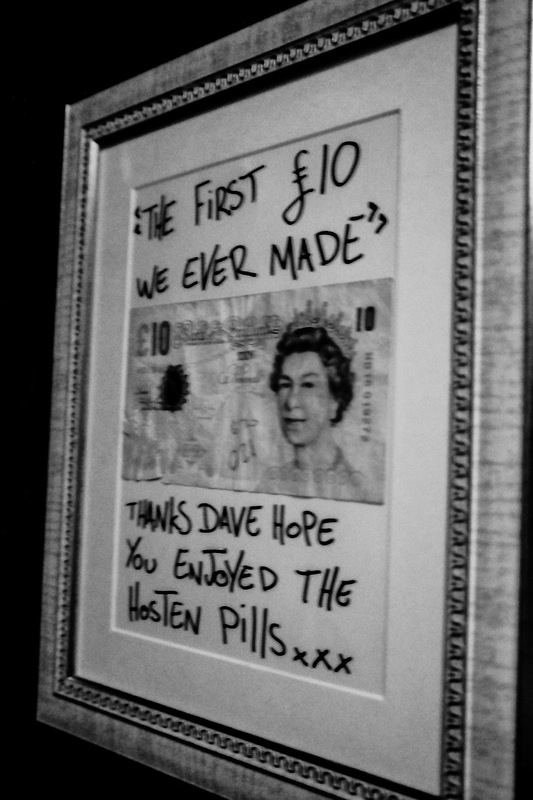 But, they do give a quid for every drink served to The Royal British Legion's Poppy Appeal. Which is kinda impressive when you think about it – especially given that Pret a Manger can only rustle up 5p per Christmas sandwich. So a small, independent cocktail shop is prepared to give 11% of the proceeds of a drink to charity, whereas a massive, multinational company with a turnover of £510 million is only prepared to give away 1.4% of the proceeds of one, highly seasonal, sandwich to charity. Compare and contrast that, Jules. Mrs G finished up with a drink entitled For Whom the Bell Bols. 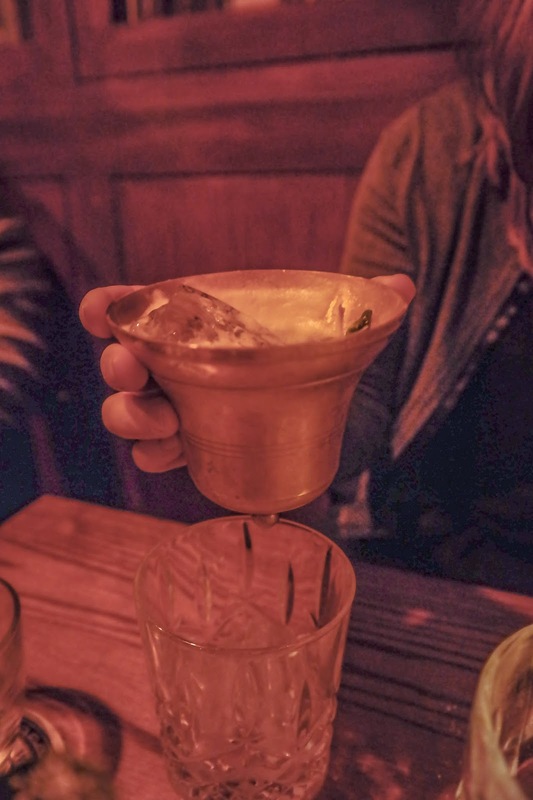 This mixed lavender & chamomile infused genever (the precursor drink to gin, from The Netherlands), golden syrup lemon juice and egg white. It was garnished with star anise and other spices, and served with a shortbread biscuit. This was an absolute bloody triumph. Somehow warming and milky (despite being perfectly chilled), with rich spicy notes as well as floral flavours coming through. It was complex, but not overly so. A perfect pudding drink, said Mrs G.
If quirky containers were the theme of the night, though, then this one won HANDS DOWN. Seriously. Sure, it didn’t have noodles. Or a tin of small and toasted marshmallows. It didn’t have huge matchsticks that obstinately refused to light. But it was in a weird glass. Which, on closer inspection, was a bell. Seriously. It's called For Whom the Bell Bols AND IT'S SERVED IN A SODDING BELL. A BELL. Which is carefully cupped in a glass of ice so it stays perfectly cold. This is a GENIUS idea. Barware skill level achieved: Expert. 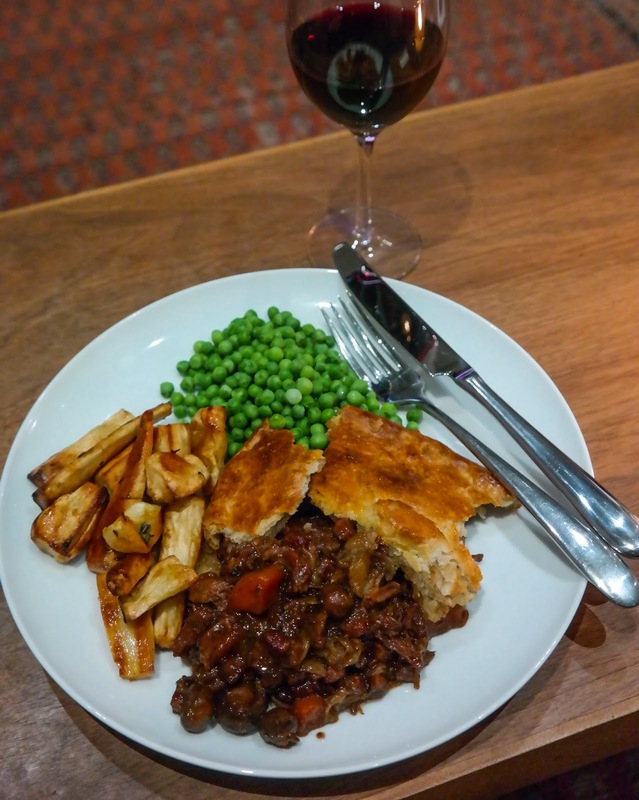 I actually did a steak pie recipe not that long ago – actually, a little shy of a year and a half ago. This is a tweaked – and undoubtedly superior version. 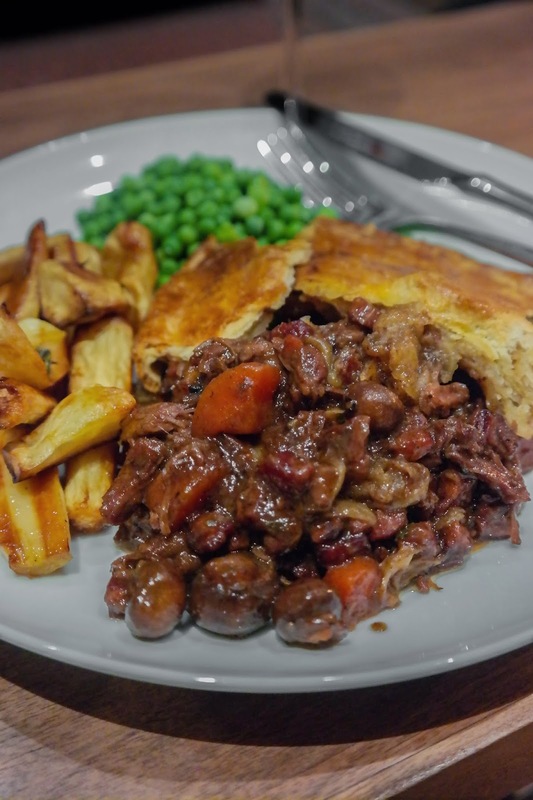 It's also a bit more complex (but not frightfully so) so let's consider the other one my 'simple pie' recipe, and this one my gourmet version. For the avoidance of doubt, I definitely recommend the additional work of the gourmet version. I have also made a bone marrow pastry which was pretty epic, albeit probably unnecessary – if you want a quiet life (and who doesn't?) just get a roll of the pre-rolled puff stuff, yeah? I have adapted this from a number of corners, but most notably the bone marrow pastry idea came from the irreplaceable Hawksmoor at Home. On the subject of the meat, I have gone for two incredible tough cuts of meat. A great rule of thumb is that the tougher the cut, the more that the muscle has had to work, and the better the flavour. 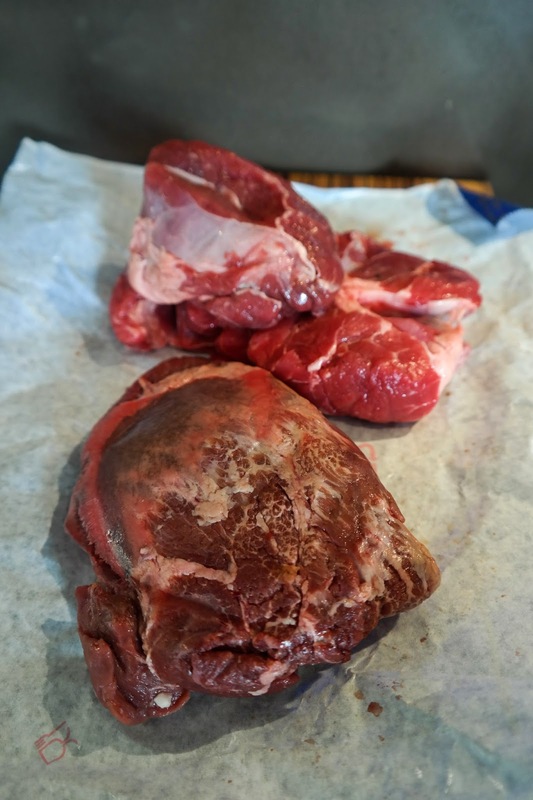 If you think about regular steaks, this rings true: rump is tougher but full of flavour, whereas fillet (an almost utterly unused muscle) is beautifully tender but less flavoursome. The two cuts I have gone for are shin and cheek. Get them from any good butcher and you'll find that they tend to be a lot cheaper than the standard cuts (although they are becoming more popular so that might not last). The downside of these cuts, however, is that they need a lot of cooking time – about 3 to 4 hours, to be honest. So plan ahead. Right. 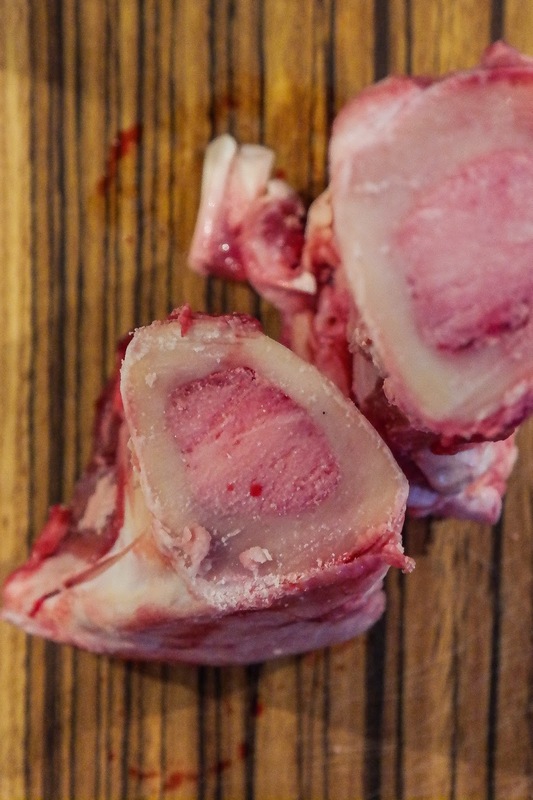 Elephant in the room: Bone marrow. Not everyone's cup of tea, I grant you. Although there's really no reason why it shouldn't be, because it's lovely stuff – full of flavour. This bit's optional, though: I think it's worth the effort but you might not. If not, you can make the pastry using suet, or just Google a decent puff / shortcrust pastry in its lieu. Also, it is worth noting that all of this was FREE. Totally free. If you have a good butcher and you go in to see them regularly (by which I mean more than once every year to buy the Christmas turkey) they're bound to give you something like this for free. 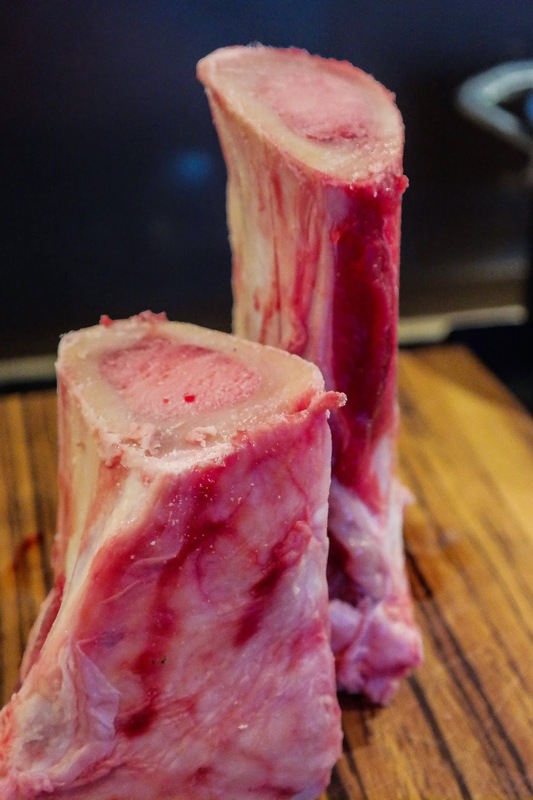 It's a really, really good idea to get them to chop the bone in half for you, as they have here. The problem is that no one sells it by the gram – you just get a bone. The amount that came out of this bone, for reference, was about 235g. I'll deal with how to get the marrow out and prepping it below. Right, on to the recipe. The day before pie day you need to marinate the beef. 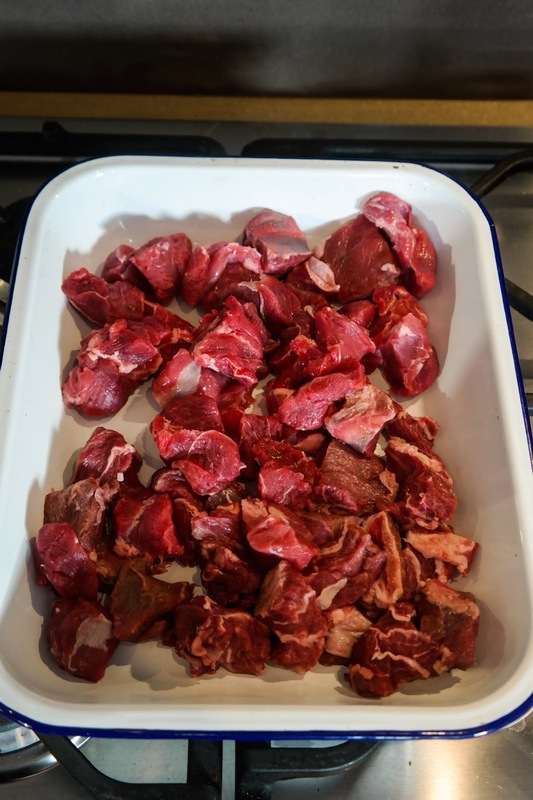 First up, trim any extraneous fat and connective tissue from the beef and cut up into bite-size chunks. Cut up the carrots into quarter roundel lumps. If the mushrooms need chopping, do this as well – although if you can keep them whole, so much the better – this will turn on how big they were when they were bought. 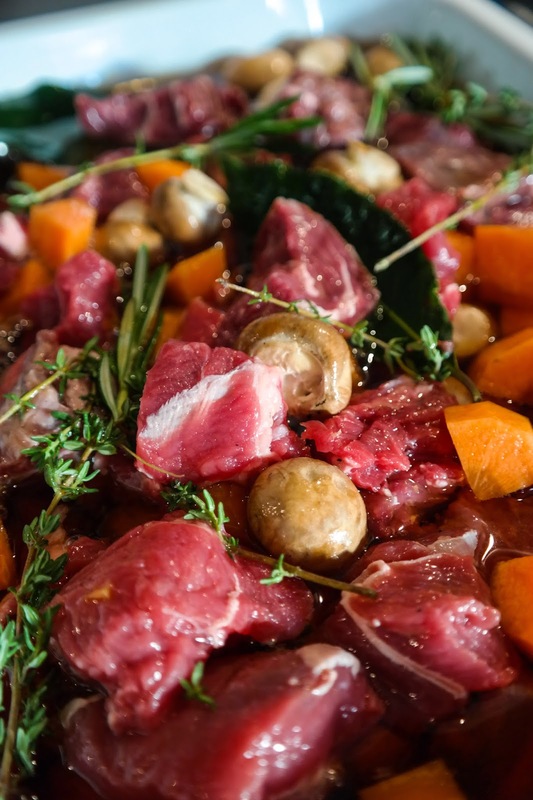 Throw the beef, vegetables, thyme, rosemary and bay leaves, into a large, non-reactive dish. Pour over all of the beer, cover and put in the fridge overnight. 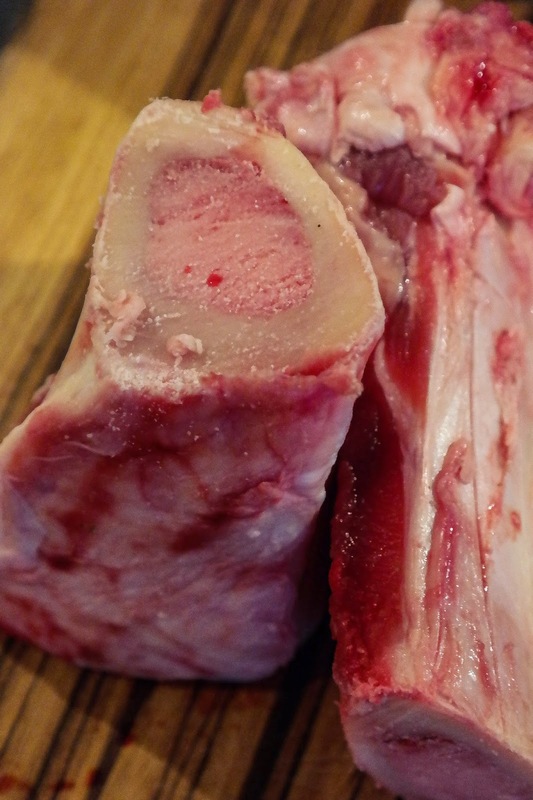 The other thing to do is to prep the bone marrow. This is a bit gross, but worth it. 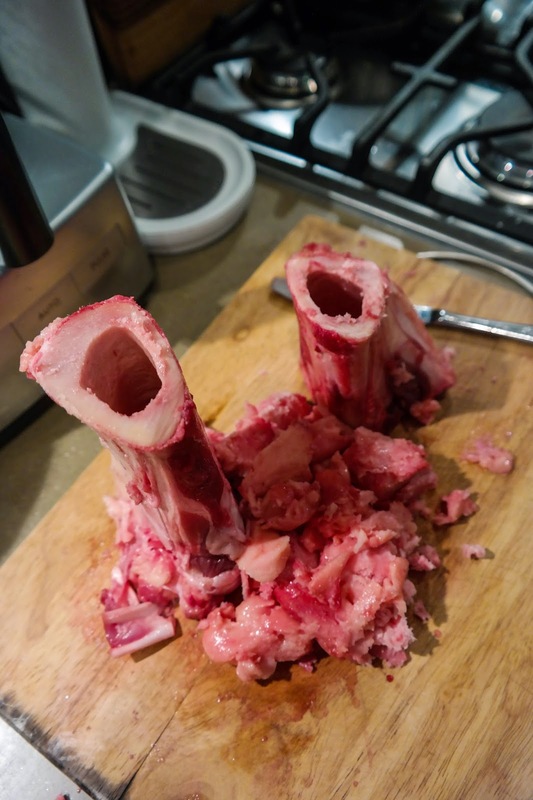 The easiest way to get the bone marrow out of the bones is to dunk them in warm water for a few minutes, then remove them and slide the marrow out. The marrow is extremely fatty, almost (in parts) with the consistency of butter, so it will melt up a bit in the warm water and come out. I could not be faffed so I took a dinner knife and scooped it out. In hindsight, I regret this because it made it fractionally more difficult to deal with later. It's not totally critical, but just a tip. Once it's out, you'll find that there are harder parts and softer, buttery parts. Scrape off about 25g of the buttery part and keep it separate in the fridge. Wrap the rest it in cling film and stick it in the coldest part of fridge overnight. It has to be properly cold when you come to use it tomorrow – if you're worried, stick it in the freezer for 15 minutes before you use it. The next day you're ready to start cooking properly. 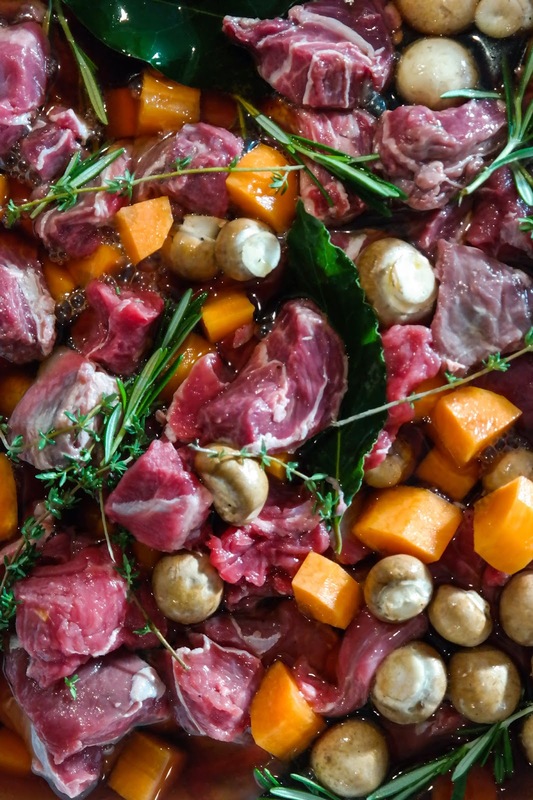 Remove the beef from the fridge so that it comes up to room temperature and put it through a colander, making sure to reserve the beer juice. Seriously, do not throw this away. 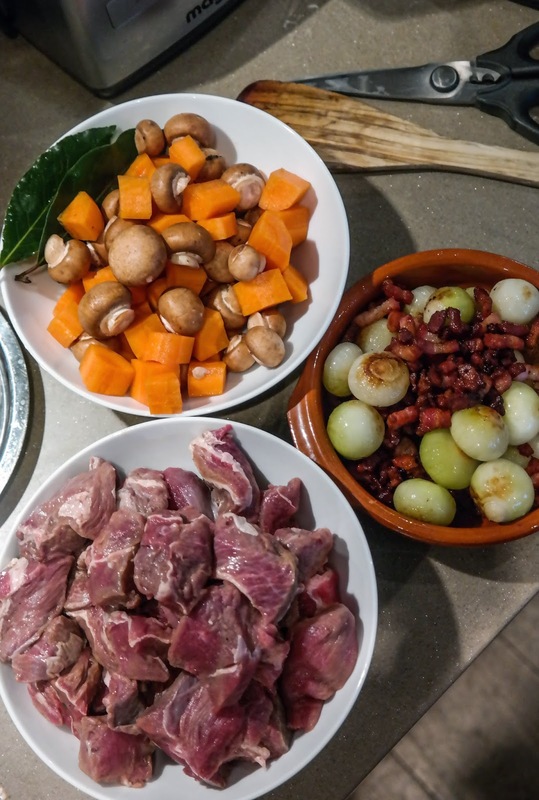 Then separate the meat, vegetables and herbs so that you have three bowls of stuff. You'll see why later. Place the beef on some kitchen towel and let it dry off. Also, pre-heat your oven to 160ºC / 150ºC (fan assisted). First things to cook are the lardons. Get a great big casserole pot (this is one pot cooking, sort of) and melt the buttery, reserved marrow. Cook the lardons in this for a few minutes until the fat has started to render. 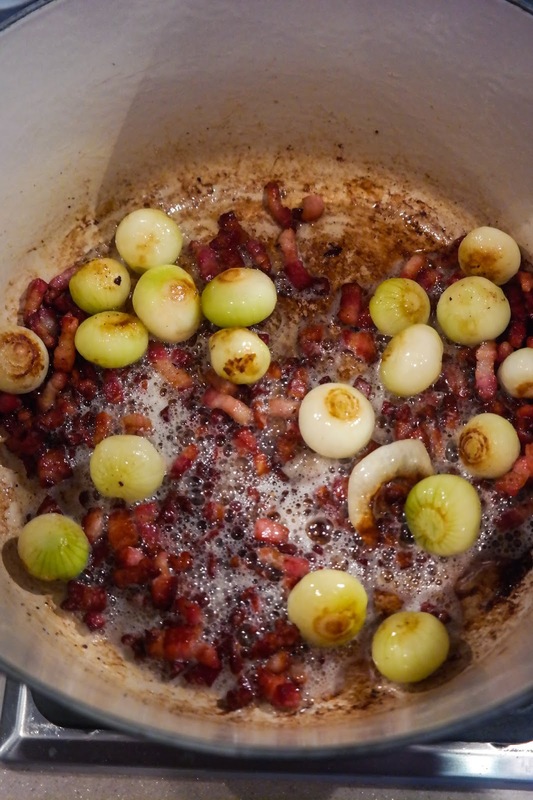 Then add the onions and brown both, removing them with a slotted spoon when done and setting them aside. 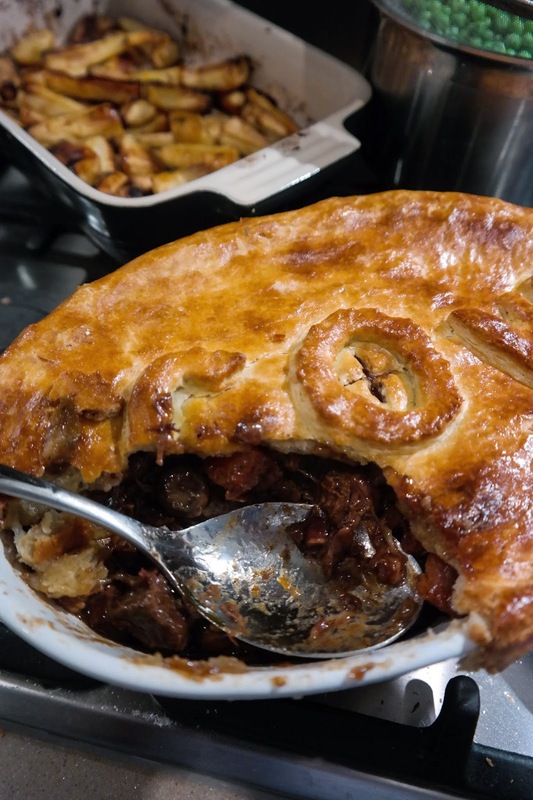 So now you should have three pots of pie stuff: The drained vegetables, the marinated beef and the browned lardons and onions. Next up, do the beef. Measure out the flour into a small bowl and season it with salt and pepper. 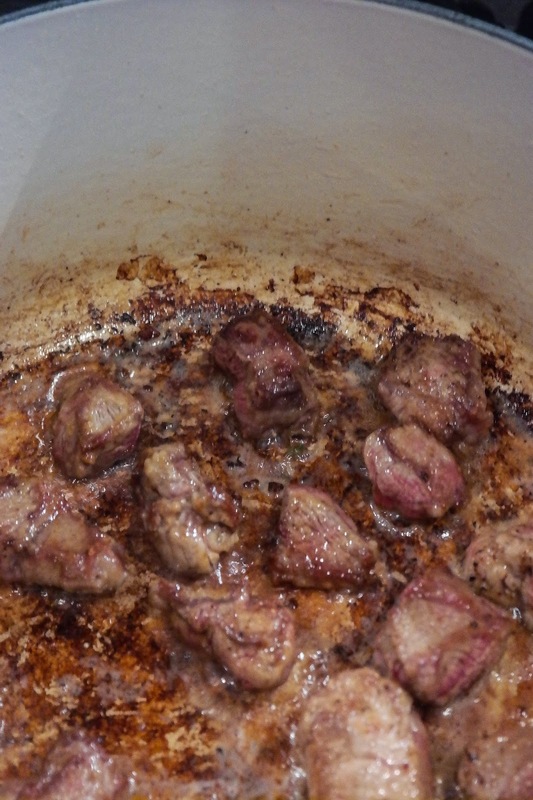 Then, dredging each piece of beef individually in flour, brown the meat in the pot in batches. There should be plenty of rendered lardon fat and bone marrow grease remaining to do this. 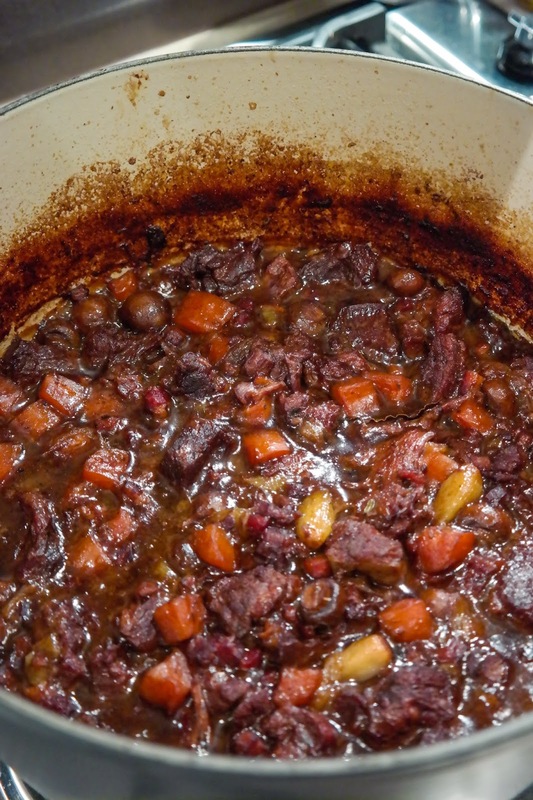 By the way, don't cram the pot full of meat – if you do so, you drop the temperature way too much and the meat won’t properly sear. Once all of the meat is browned you'll need to deglaze. In fact, you've probably been getting a bit nervous as the process of cooking the lardons / onions and browning the meat will have crusted the base of the pan with something evil looking. Deglaze this by pouring a couple of ladles of stock into the bottom of the pan and scrapping like hell. Quite a lot will fizzle up, so make sure there's enough in there to stay liquid (otherwise you'll just end up with a thicker, harder glaze – bad). 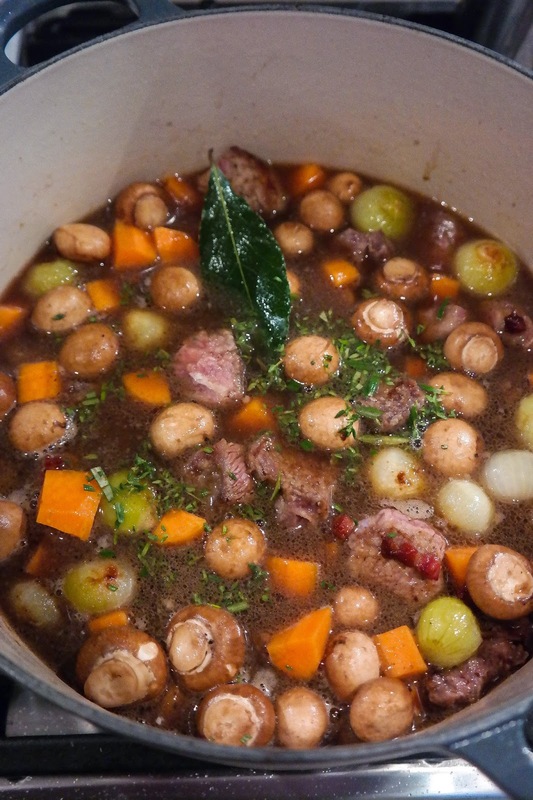 When this is done, re-add the beef, lardons and onions to the pot. 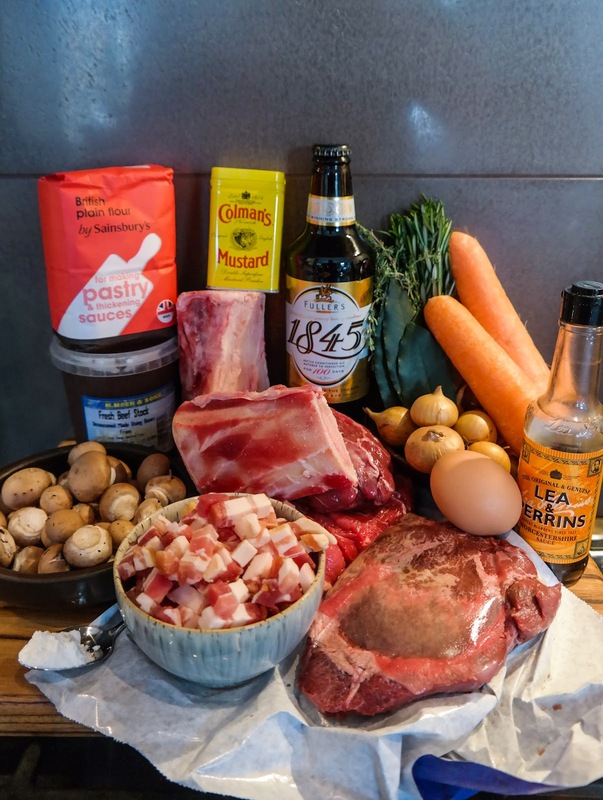 Then throw in the beer juice, the rest of the stock, the Worcestershire sauce and the bay leaves. Strip the leaves of herbs and chop them finely, adding these to the mix as well. Give the whole thing a stir and turn the heat up until simmering point, before transferring it to the oven. In the first round of cooking, it will need about 2 ½ hours with the lid on. Whilst it's cooking you should make the pastry. 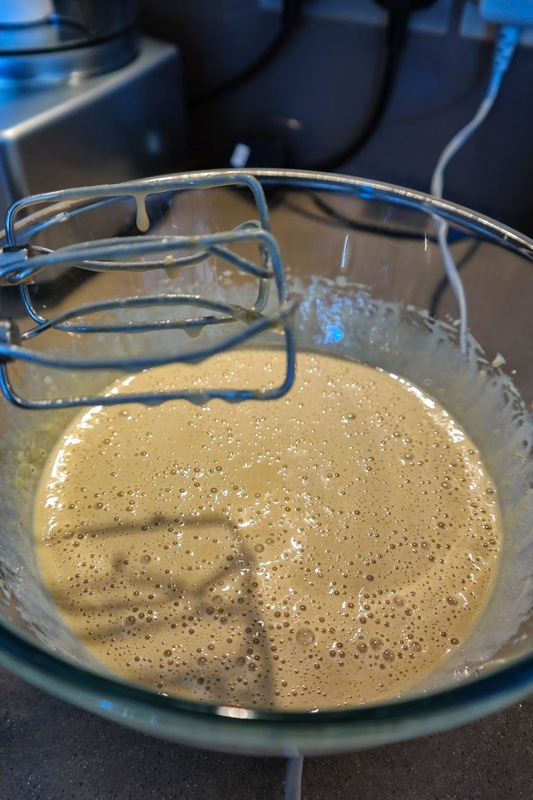 Place the flour, baking powder and mustard powder in a bowl and mix together. Next, grate the bone marrow. Yes, actually. I found having a bit extra was a real bonus here, as it melted very quickly and I ended up wasting a fair amount. (If you're using suet instead, you don’t need to grate it. You're also a wimp.) Once grated, add it to the flour and mix together until well combined. Beat one egg yolk together with the milk and add this to flour slowly, mixing all the time. Then add as much iced water as is necessary to bring the mix together into a dough. Now wrap it in cling film and stick it in the fridge for at least an hour to rest. Back to the pot (when the time is up): remove it from the oven and give it a stir. It should still be relatively liquid, and the meat still fairly tough. Therefore, it needs to go back in the oven, but this time with the lid off, so that the gravy reduces and thickens. Mmmmmmm. Make sure the bay leaves are submerged, by the way, otherwise you'll get it out and find a charred leaf sitting there – not cool. Stir it every 20 minutes or so, keeping an eye on the level of gravy. You should find its done and the beef is falling apart in about an hour. 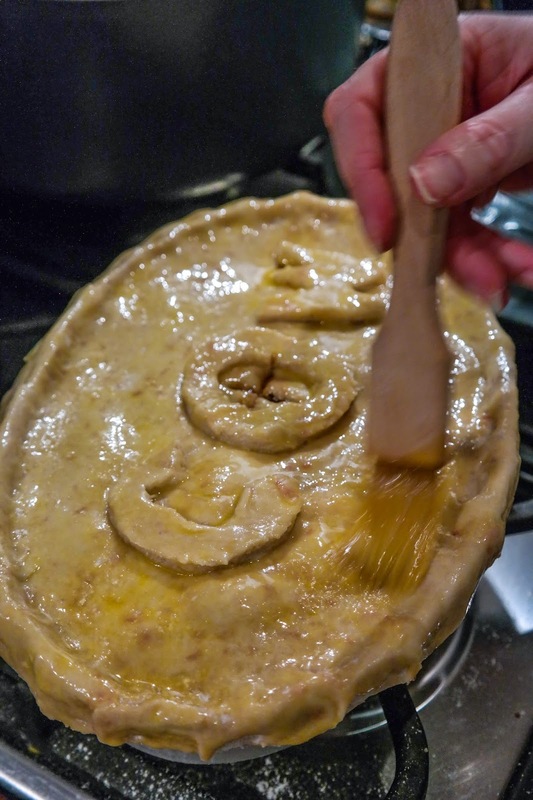 Make sure you retain enough wet – otherwise it's barely a proper pie. 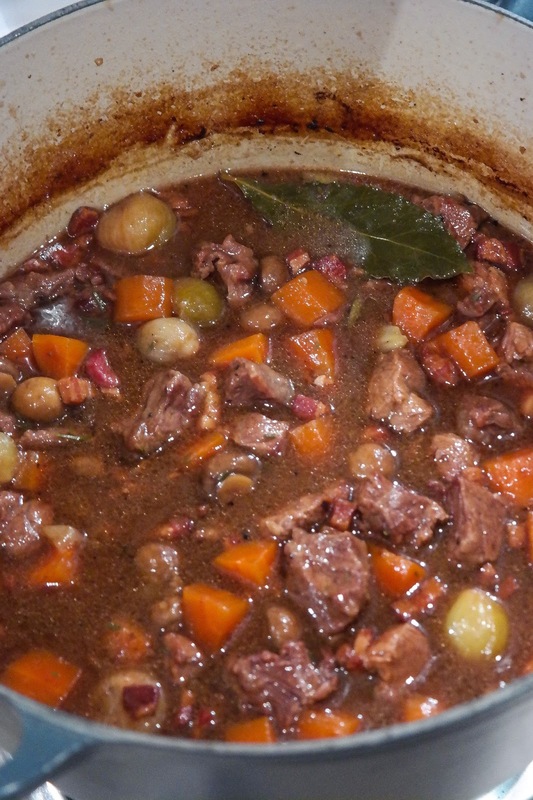 Remove the stew from the oven when ready – but don’t turn the oven off; turn it up to 190ºC / 180ºC (fan assisted). Get the pastry out the fridge and, on a properly floured surface, roll it out to about 4mm thickness. Placing the pie dish upside down on the pastry, cut the pastry to size, leaving a 1.5cm margin all around the edge of the dish. Reserve any excess pastry – don’t chuck it yet! 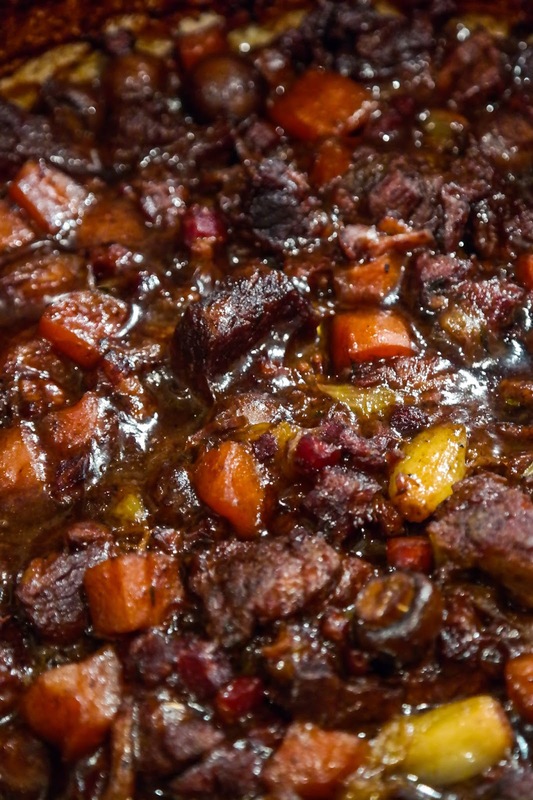 Ladle the beef stew into your pie dish, filling it almost, but not quite, to the top. Beat the remaining egg in a cup and brush the edges of the pie dish before plonking the pastry on top. Crimp down the edges with your thumb and finger or a fork. Cut a cross or a whole in the middle (a whole is probably easier before the pastry goes on, come to think of it…) to let the steam out, and then decorate. 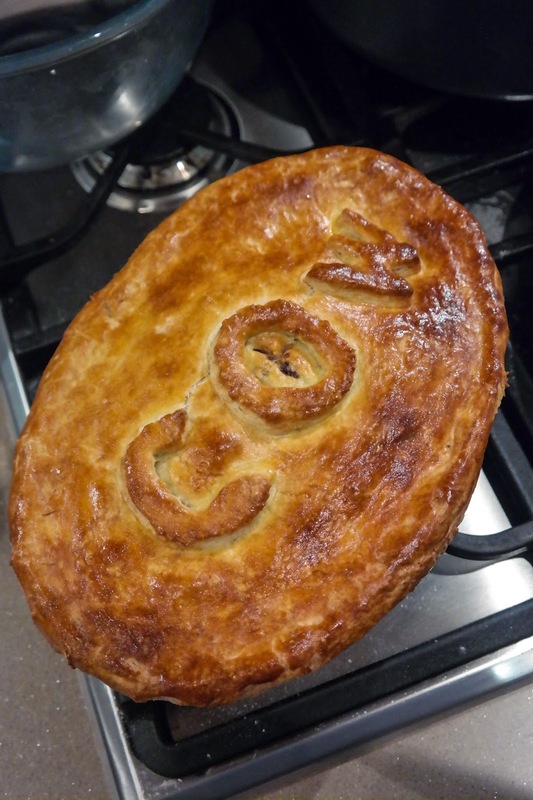 As I have explained previously, an undecorated savoury pie is an unlucky pie. I decorated it in a traditional sense, explaining its contents. Brush all of the pastry properly, so that every nook and cranny is covered in egg wash. It needs about 20-30 mins in the oven now, until the crust is golden brown and yummy looking. Take it out and serve it straightaway, with peas and maple coated parsnips, in this case, or with mash and spring greens, or whatever takes your fancy. 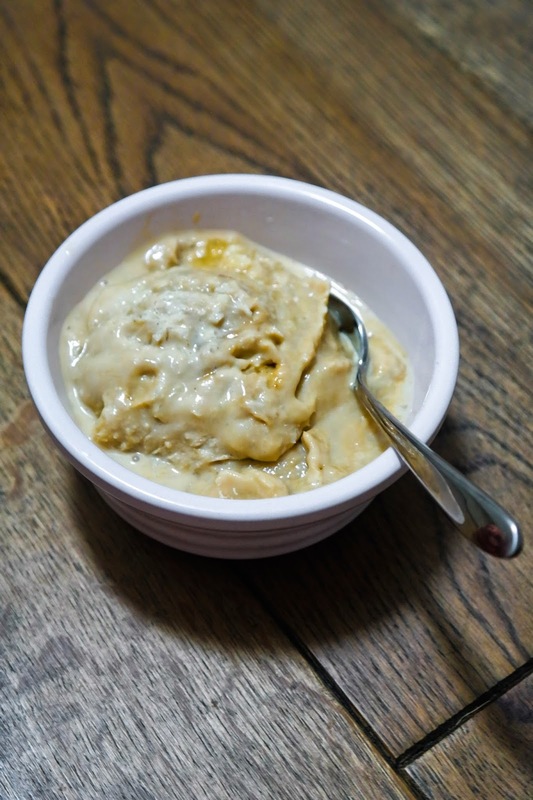 Like all ice creams, this one relies basically upon making a custard and freezing it – so once you've mastered the art of custard making, and assuming you're in possession of an ice cream maker of sorts, it's pretty easy. I made this for a Burn's Supper a few years back, and people seemed to enjoy it. I totally forgot to photograph it finished when the final product came out until I'd scooped the last scoop – hence the slightly melty picture at the end (oh, and the fact that it melts REALLY fast on account of being full of booze). 1. Custard time. 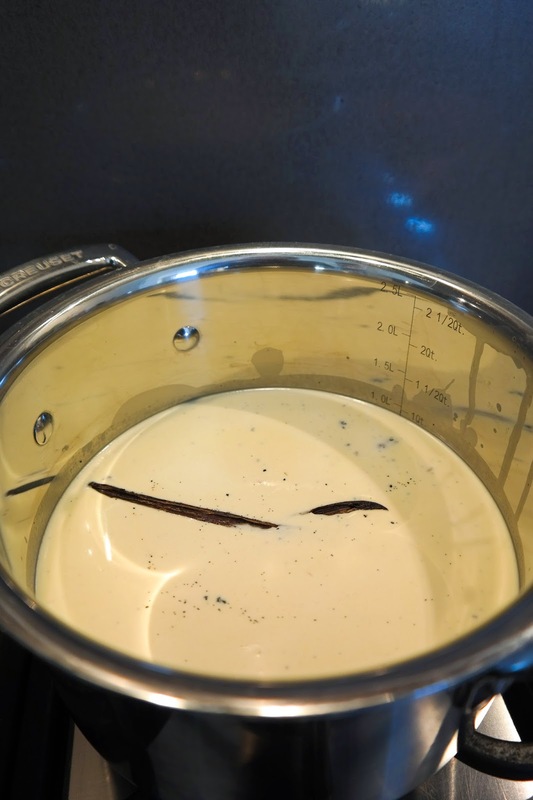 In a milk pan (if you have one, but otherwise in a small pan) mix the cream and milk together, as well as the seeds scrapped from the vanilla pod. Chuck the pod in there too (but don’t forget to remove it later). 2. Heat the cream and milk mixture together slowly until it's nearly at boiling point, but don’t let it actually boil. Turn the heat off when it's there. 3. 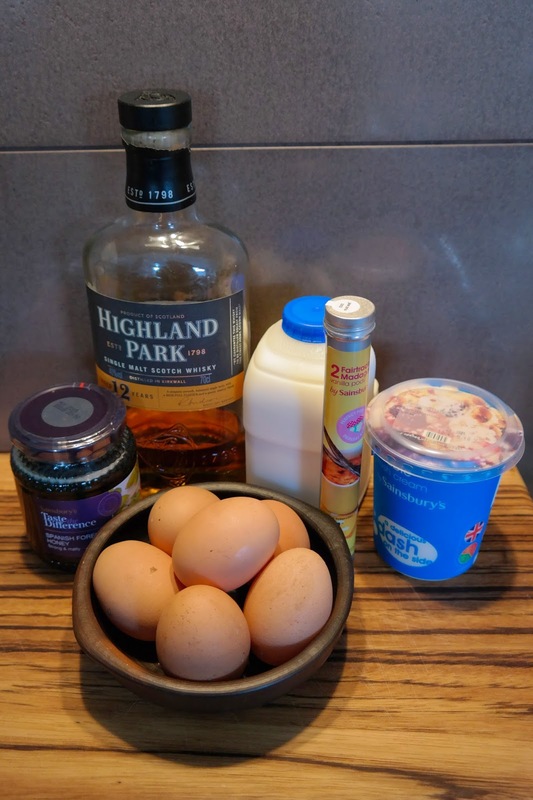 In a mixing bowl, beat the egg yolks and honey together until pale – this post on Neapolitan Ice Cream has some good pictures of how it ought to end up. 4. 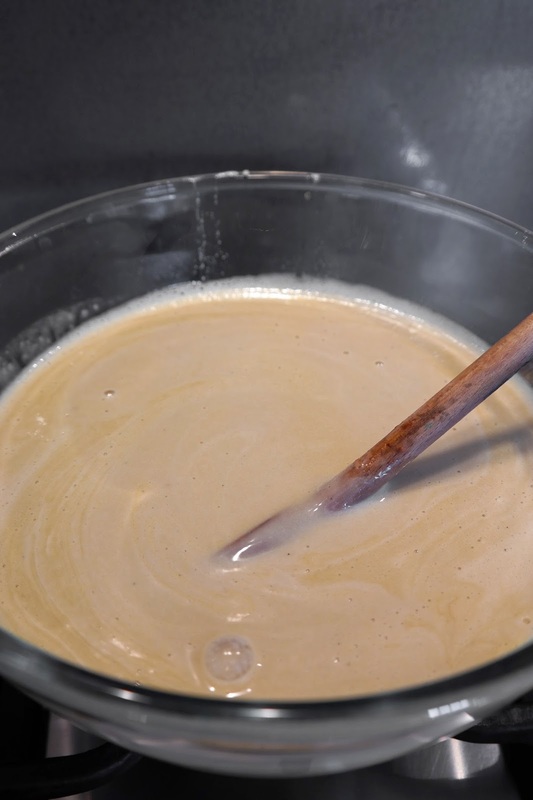 Add the egg and honey mix to the pan with the milk and cream and heat very gently until the liquid coats the back of the spoon and the first bubbles appear. Overdo this and you'll end up with something crossed between scrambled eggs, an omelette and puke. So be careful. As soon as it's done turn off the heat, add the whisky and let the whole lot cool right down to room temperature. Then stick it in the fridge for at least an hour but preferably overnight. 5. Strain the mix into another bowl before sticking it in the ice cream maker and churning until done. Note that the ice cream will take forever to get to a normal freeze, and may not even get as ice-creamy as you'd like. That's the booze talking. About halfway through, add your cinder toffee. When it's gone as far as it can, get it into the freezer for a couple of hours before serving. And here's the finished product. Sorry, I simply wasn't swift enough photographing it, and this was the last serving. The whisky means that it has a much lower freezing point - which is why it's so melty here. SORRY. Coffee is pretty big news right now. It seems, increasingly, like one can't turn a corner without running into some new coffee bar. These joints are a very far cry from the Starbucks and Costa of old. More often than not they're hipster run and hipster patronised, with flowing beards, turned up jeans, ironic tattoos and horn-rimmed spectacles at every turn. Inside, you're treated to a coffee that is, like as not, short (worryingly so, sometimes), complex and frequently sharp and fruity. You'll also invariably be surrounded by bare brick walls, often punctuated by shelves of coffee accessories you never knew you needed and never could afford. This is the new trend, and it is as alien to the American-style coffee bars we've become accustomed to as Tommi's burger joint is to MacDonalds. This, I am certain, is a good thing. 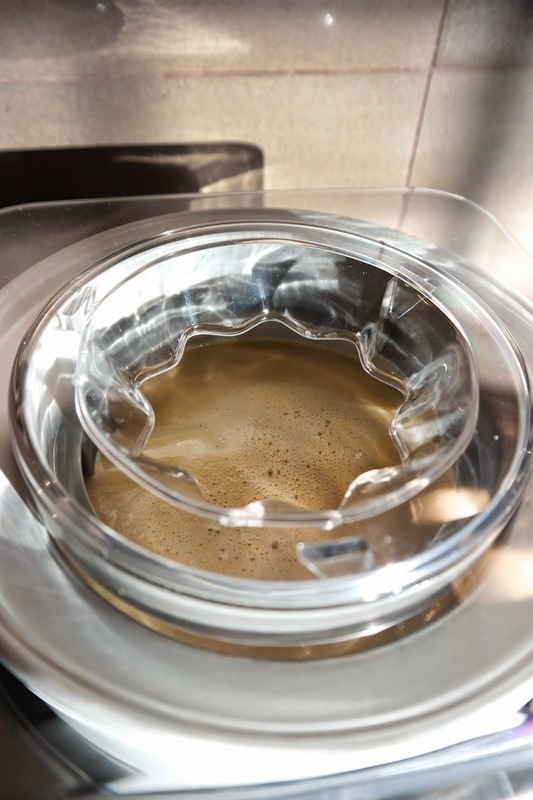 With all this in mind, a few folks at my workplace have resolved to stop drinking the rubbish that comes out of the free coffee machine in the kitchen and replace it with proper, cafetiere-brewed coffee. We have bandied together to form a coffee club (I wanted it to be a collective but was resolutely voted down) and are now rattling through various different brews in search of the perfect cup. Each person takes it turn to buy a bag whenever we the previous bag is finished, the brief for purchasing being only to get enough for everyone to enjoy for a few days and to make sure it's not the same as something we have already had – otherwise, it's totally open ended to what the purchaser would like. Here, at last, is our first review. It's a delivery coffee. Delivery anything is usually a faff, as you have to be in to receive it. Not so for Foundry, who earn top marks for devising a nifty system of packaging letter-box appropriate bags of coffee. Surprisingly, they fold up nicely to go in the fridge as well. I particularly liked that they had hand-labelled the coffee so you knew when it was roasted (by the way, this post is a little out of date - it was, in fact, roasted two days before it arrived). Thoughts: We liked this. Robust, slight chocolatey notes. Quite sharp at the beginning - a fair amount of acidity without becoming one of those fruity coffees that we're less keen on. Nice smoothness, a fairly long aftertaste, but perhaps could do with a touch more complexity. One member of the panel (@jonnyolly, a Northerner who became most animated at the thought of a Sheffield-based coffee outfit) said: "There are no long-bearded, Vaseline-tweaked moustached, exposed-bricked, upcycled old furniture modern coffee shop vibes coming from it, but a strong and classic coffee. Very much a Sheffield coffee – honest and true." Score: 7/10 - This is score number one, this is the benchmark, everything else will be placed around this – so it may be that 7 ends up being the highest, or the lowest score.